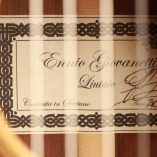 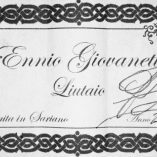 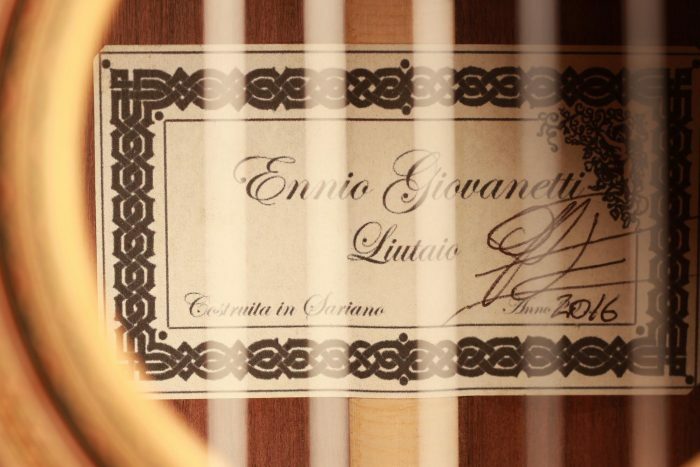 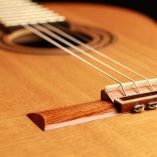 Ennio Giovanetti has been building guitars since 1998 and has his workshop in Sariano di Gropparello, near Piacenza (Italy). 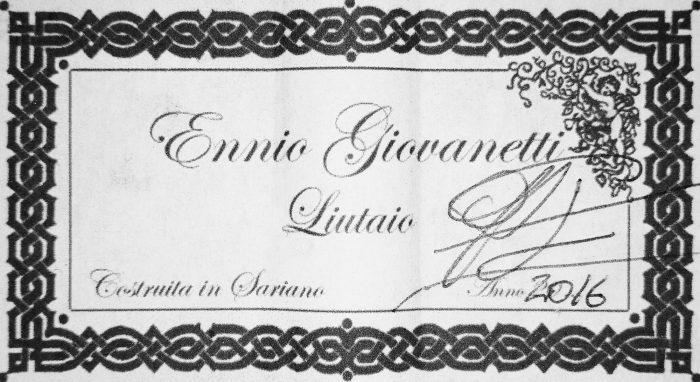 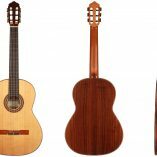 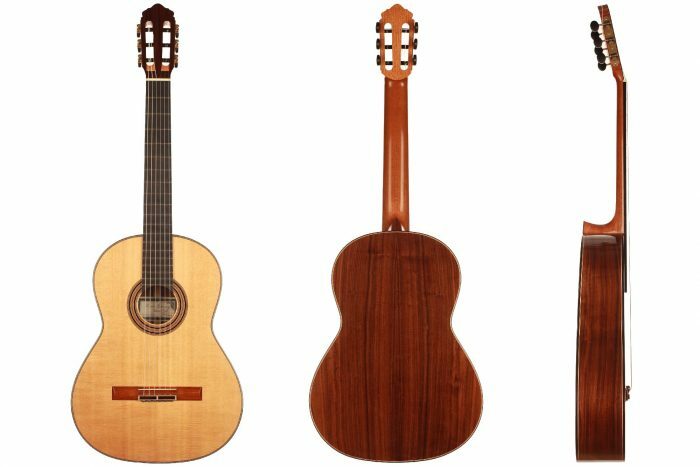 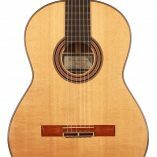 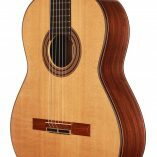 He studied guitar making in Milan with Enrico Bottelli, where he had the opportunity to get to know many guitars by Antonio de Torres, Hermann Hauser I, Simplicio, Garcia and many others. 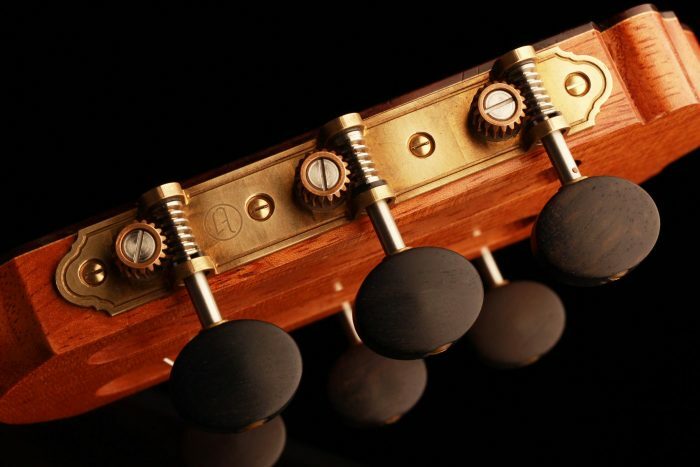 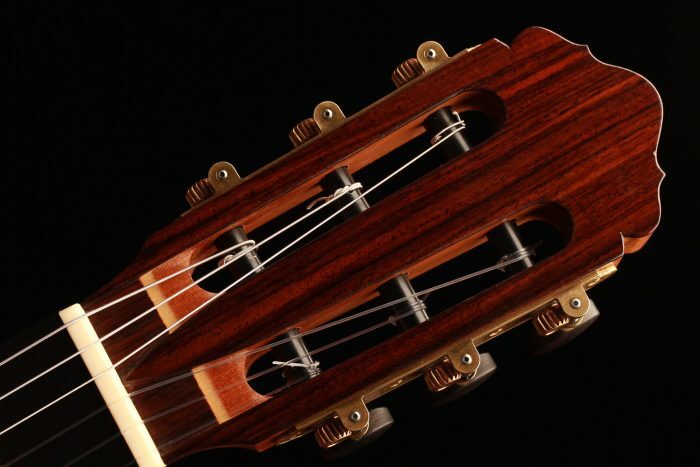 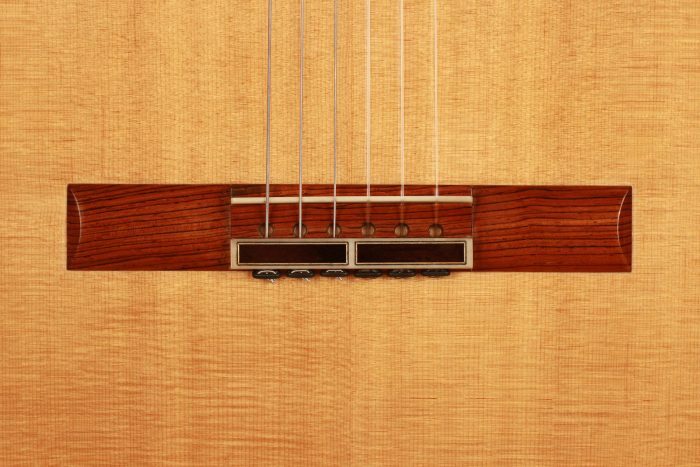 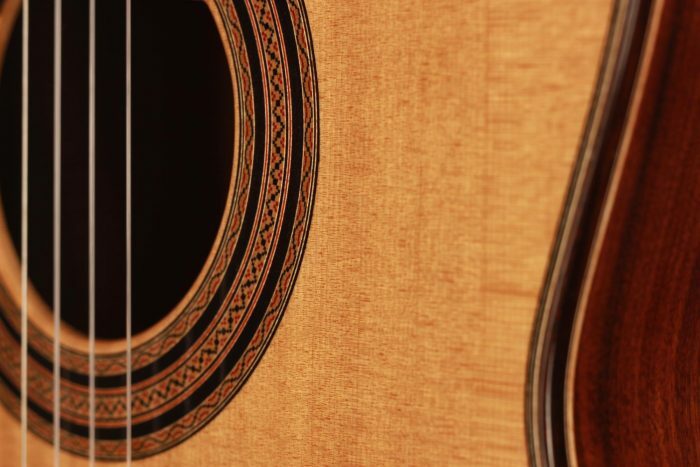 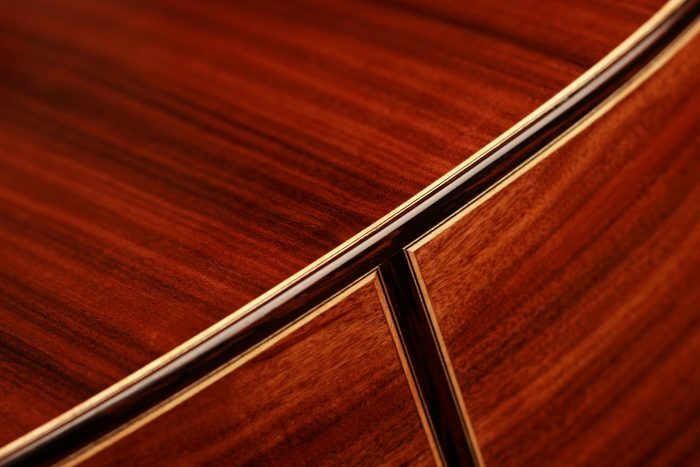 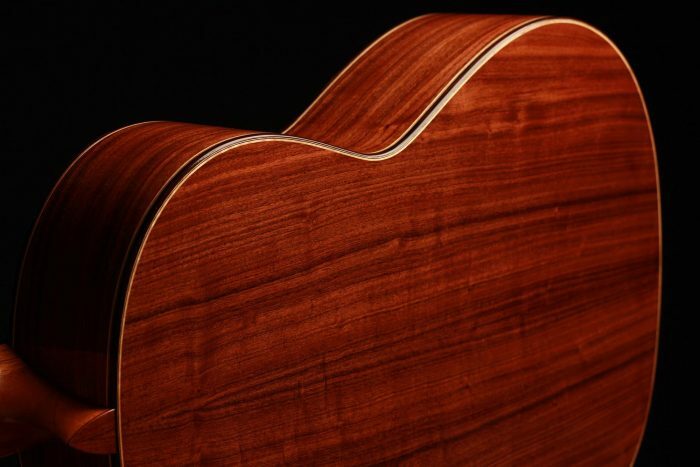 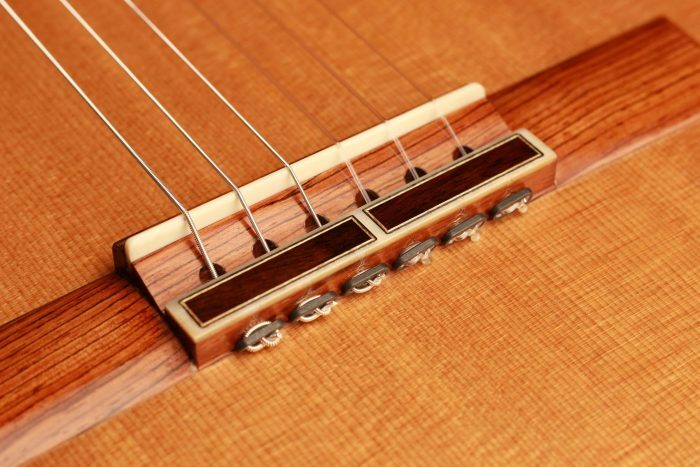 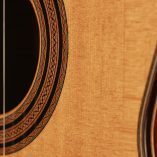 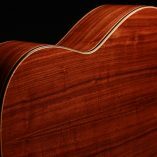 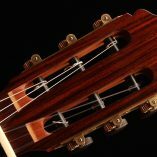 His guitars are built in the traditional way, but recognizable by their own elements. 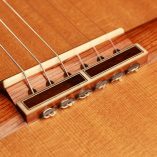 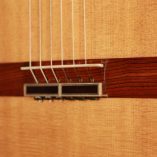 For example, behind the knotting block, a part was excavated to optimize the angle of the strings and thus promote vibrations. 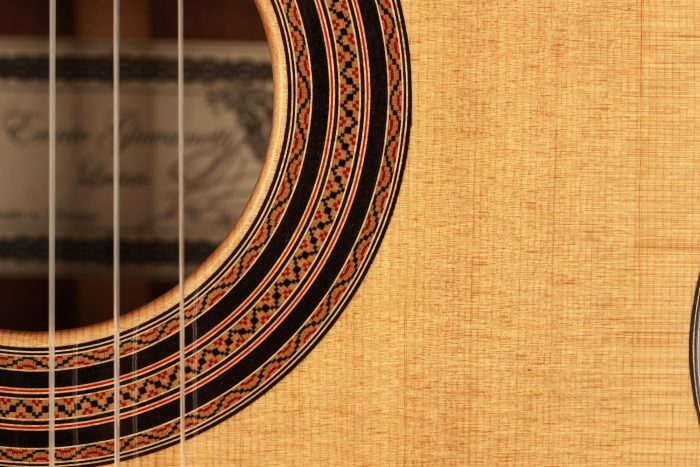 This guitar is almost like new and has only a few superficial playing marks. 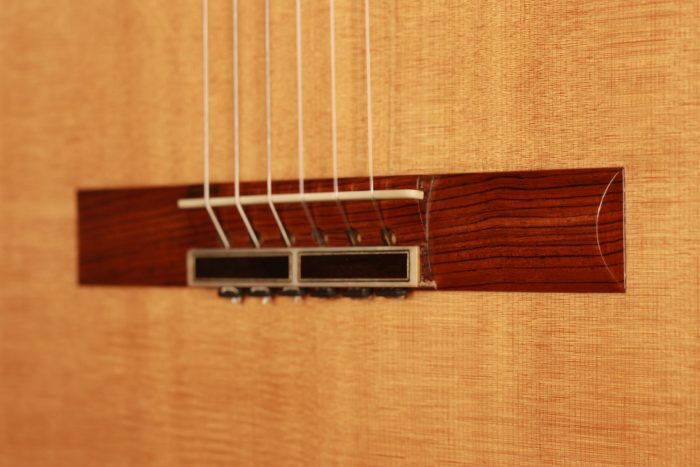 The soundboard has taken a magnificent colour in recent years and now seems to come directly from the 1940s. 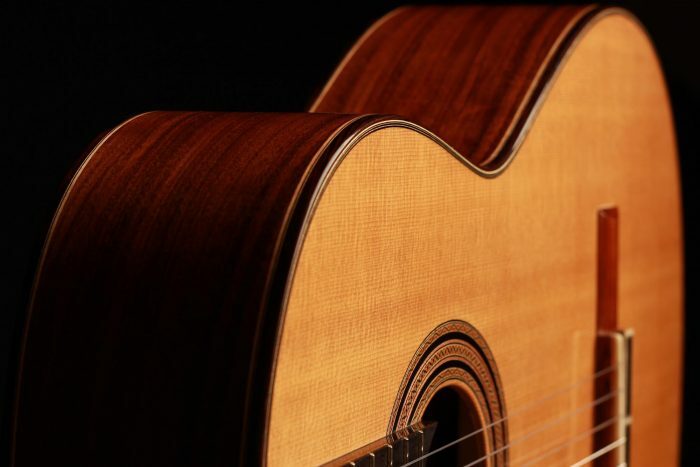 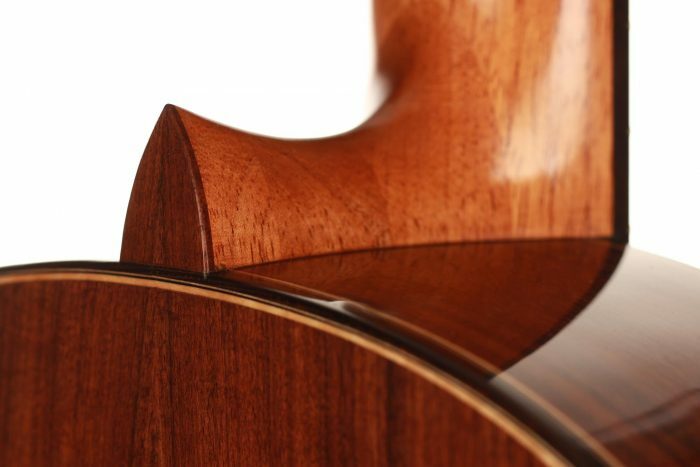 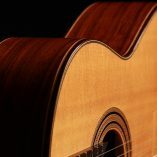 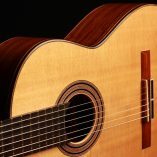 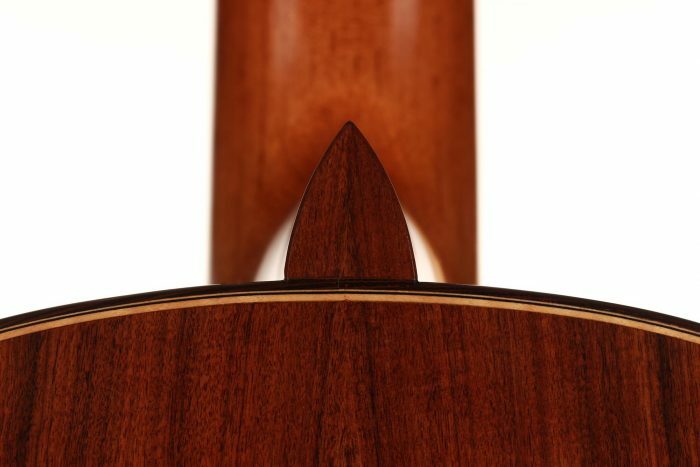 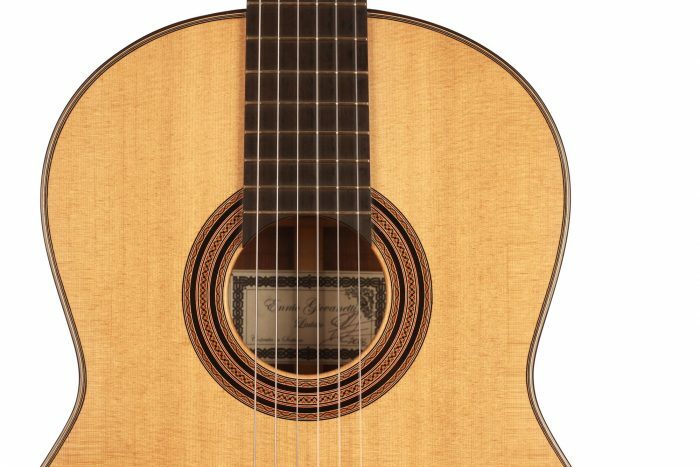 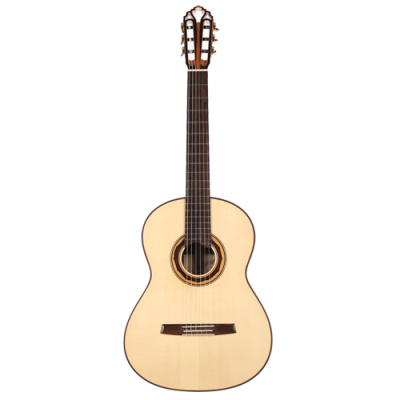 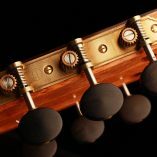 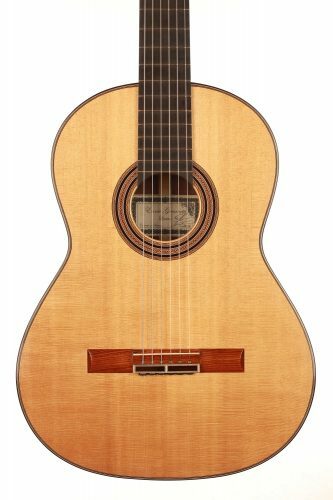 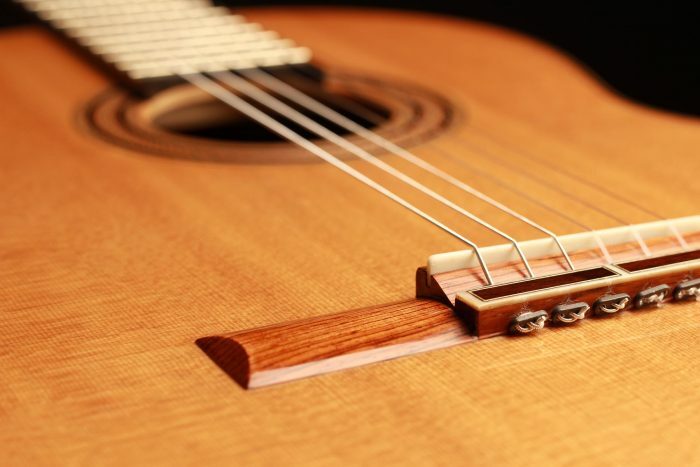 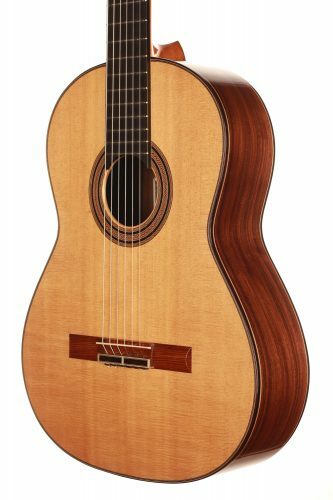 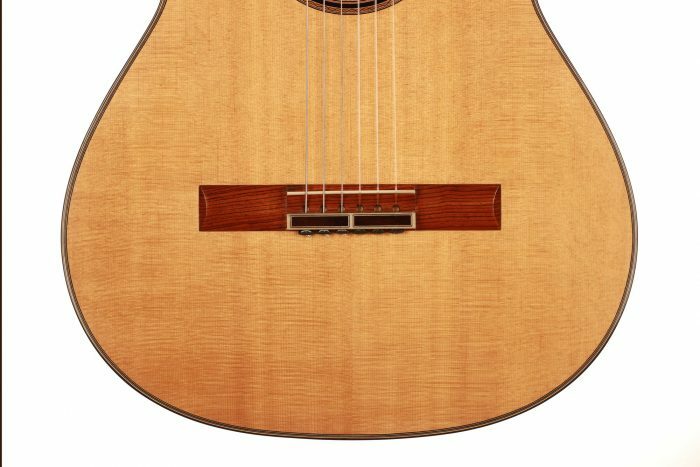 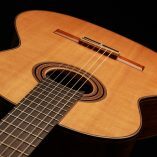 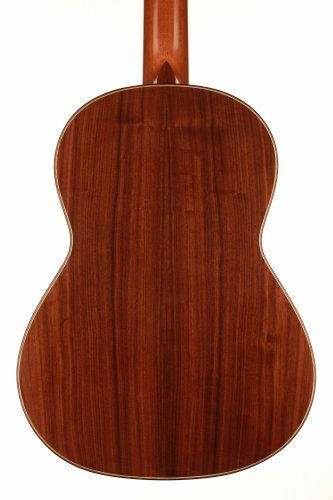 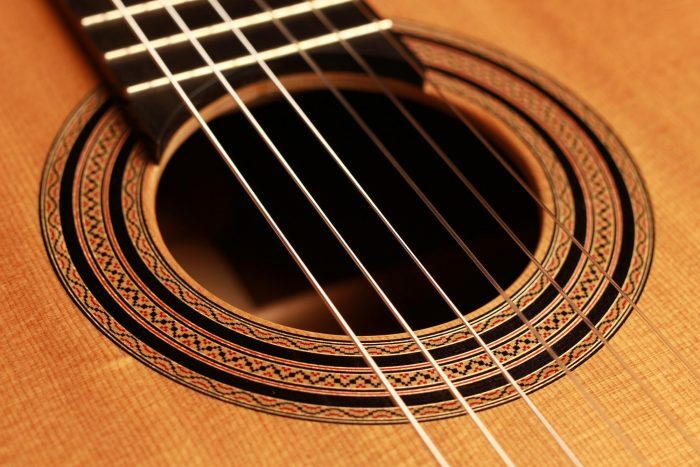 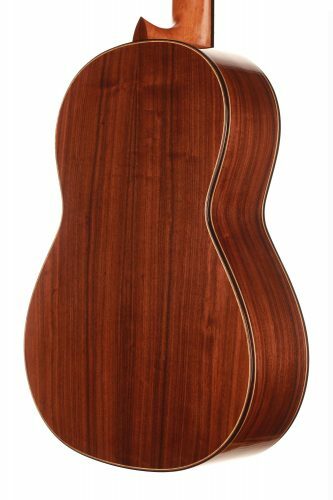 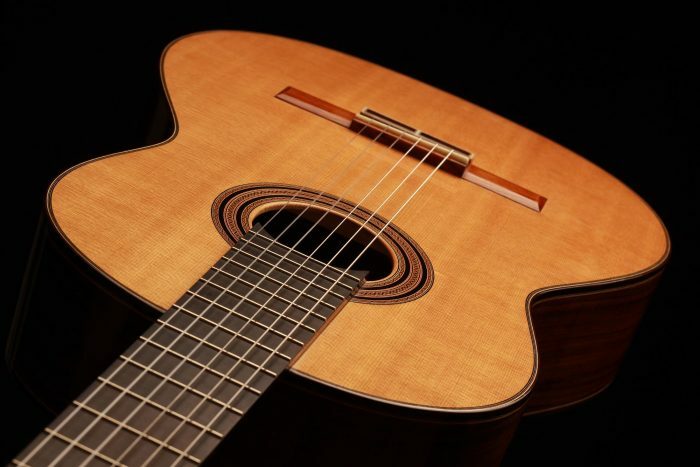 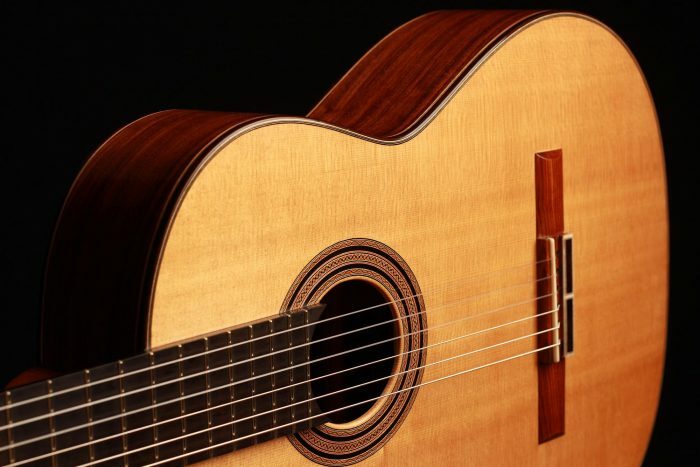 This optical characteristic of maturity and elegance is reflected in the sound of this guitar. 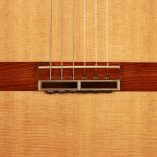 The bracing is reminiscent of Daniel Friederich’s guitars of the 70s and the sound is of phenomenal transparency and complexity. 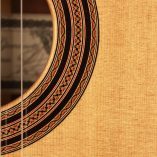 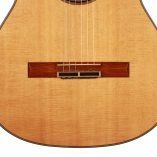 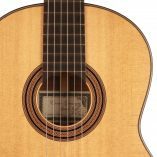 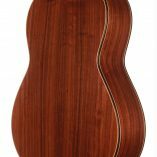 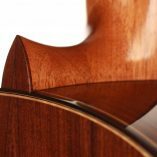 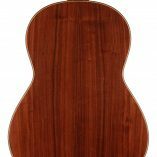 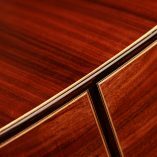 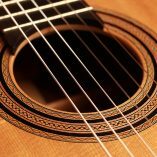 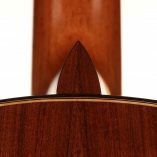 The basses are generous and support the crystalline trebles to create a very rich, noble and harmonically balanced guitar.